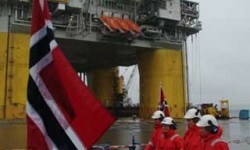 A new oil platform in Norway is the capstone of a project that sets new records in sub-sea engineering. 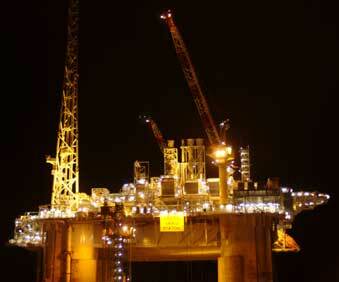 Oil platforms are amongstthe world’s most highly engineered pieces of equipment. Built to withstand outrageous storms and to extract gas and oil from the earth’s crust in the most sustainable way possible, oil platforms also have to offer unparalleled safety and comfort to their crews. “There could be a stormy sea out there with 30-metre waves and you would not notice,” says Björn Tillerflaten, a condition-monitoring technician aboard the new Kristin platform built for Statoil, Norway’s state-owned oil company. 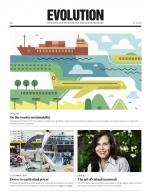 Statoil is ranked third, after BP and Shell, amongst the world’s oil companies in terms of sustainability. 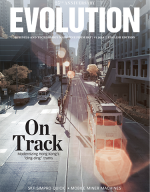 The Dow Jones Sustainability Index, or DJSI, has ranked Statoil for the past four years. Tillerflaten is a veteran of platform life. He spends two weeks on board, and is then off for four weeks. “This is a really great place to work, and it is not bad getting eight months off a year,” he says. Commissioned in March 2005, Kristin resembles a five-star hotel built around a floating steel superstructure. Amenities include a modern gym, bedrooms with plasma screen TVs, spacious living rooms and a professional catering. 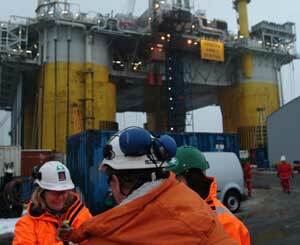 In fact, oil platforms in Norway are often cited as having the best restaurants in the country. The Kristin platform has a displacement weight of 56,000 metric tons and is 82 metres wide, 93 metres long, and more than 100 metres high, measuring from sea level to the flare boom. Like a spider in a web, the Kristin platform is the hub between the oil and gas that exists 5,000 metres below the floor of the North Sea and production and storage facilities at sea and on shore. At such depths the pressure can be more than 900 bar (900 kg/cm²) and the temperatures can exceed 170 degrees Celsius. The Kristin oil and gas field is part of a geological structure that was formed during the Jurassic Period, 200 million years ago. Kristin is due to start full production in October 2005 after investments totalling 2.5 billion euros, which includes the platform and the drilling of 12 sub-sea wells at the bottom of the North Sea. Aker Kvaerner in Stord, situated between Stavanger and Bergen, Norway, built the Kristin rig for Statoil. 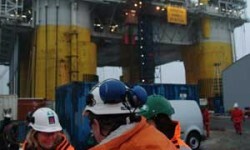 The majority shareholder, Statoil has a 41.6 percent share in the project. 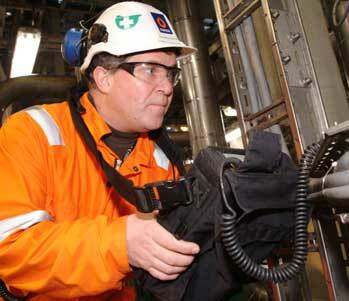 Other partners include Norsk Hydro, Total and Exxon Mobil. The Kristin platform was built in modules. The 14,500-metric-ton hull was manufactured by Samsung Heavy Industries in South Korea and shipped to Norway through the Suez Canal. 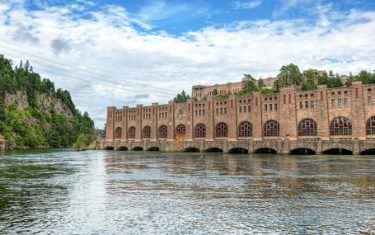 The living quarters and helipad were manufactured by Emtunga in Gothenburg, Sweden. 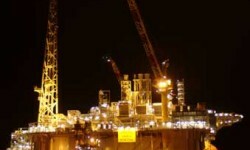 The superstructure, including the flare boom, was built by the Dragados yard in Spain. It was put together in Stord, Norway. It took 2.6 million man hours to complete the project. 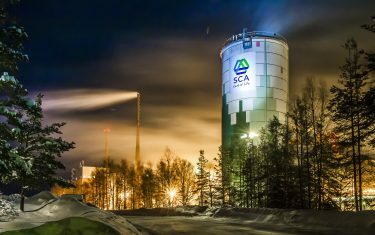 Over the next 12 to 13 years,the Kristin oil field, which lies approximately 240 kilometres northwest of Trondheim, Norway, is due to deliver 35 billion cubic metres of gas, 8.5 million metric tons of liquid natural gas and 40 million cubic metres of condensate, or light oil. Four sub-sea templates installed on Kristin are tied back to a floating production platform with a daily production capacity of 125,000 barrels of condensate (20 million litres) and 18 million cubic metres of gas. Once fully operational, the Kristin platform will require a crew of only 29 men and women to operate. Most of the processes on an oil platform are highly automated. 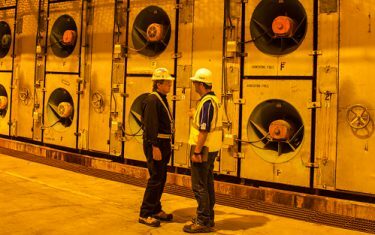 On the Kristin platform, technicians still do their rounds of all the deck machinery – vital machines such as compressors and 55 MW turbines are installed in duplicate to provide 100 percent runability – but most of the action occurs in the control room where a battery of computer monitors and plasma screen TVs follow all the processes. The Kristin platform has more than 10,000 electronic instruments onboard, including 1,300 fire and gas detectors, to monitor all the pro-cesses. During the night shift, two people man the control room and two others do the rounds outside. 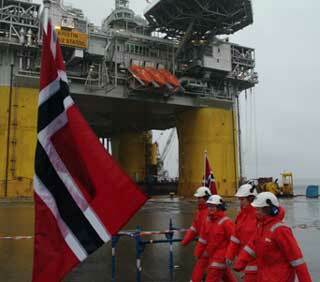 In general, the oil industry in Norwayplaces great emphasis on health, environment and safety issues. On the Kristin platform, the goal is to have an environment as free of accidents, injuries, and work-related disabil-ities as possible. To make sure that this happens, no expense was spared during the design and construction of the platform to create a comfortable and ergonomic environment for the crew. Special emphasis was placed on reducing noise levels and developing good material-handling systems onboard. The crew also has the best weather protection money can buy. 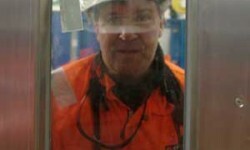 Interestingly, when it rains, as it often does in the North Sea, the working areas of the Kristin platform get drenched. Metal grates separate the six levels of the platform, and they are not watertight. Temperatures and pressures in the wells in the Kristin field are amongst the highest in the world. This places special requirements on such equipment as pumps, fans, generators, turbines, compressors and electric motors aboard the Kristin platform – many of which contain SKF bearings. 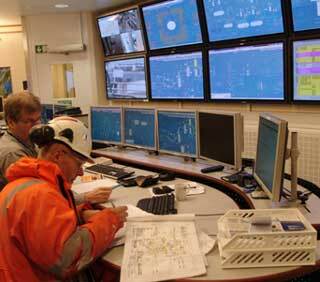 All rotating machinery on the Kristin platform is monitored. 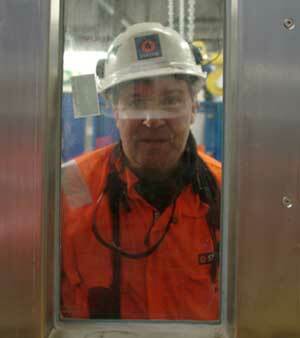 Björn Tillerflaten is Statoil’s condition-monitoring technician aboard the Kristin platform. He uses the SKF Microlog CMVA 60 and SKF Machine Analyst systems to measure and analyze the condition of the machinery. 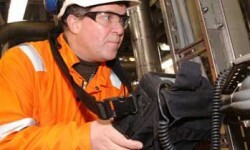 CMVA 60 is a handheld unit that collects vibration data and performs analyses. The unit can effectively monitor machines that are spinning as slowly as 0.5 rpm. 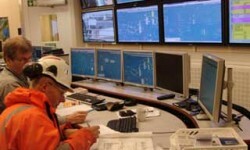 Statoil is using SKF Microlog and SKF Machine Analyst systems on 10 of their platforms and refineries.